Franco and Gonzalo Carrazana were digging up their patio to build a two room addition on their house in Tilcara, Argentina, when they found 8 ancient pots buried one next to the other. “The first piece appeared when we had dug some 40 centimeters (16 inches). Then another pot appeared that was next to a third,” Roberto Carrazana, the brothers’ uncle, told the daily Clarin. 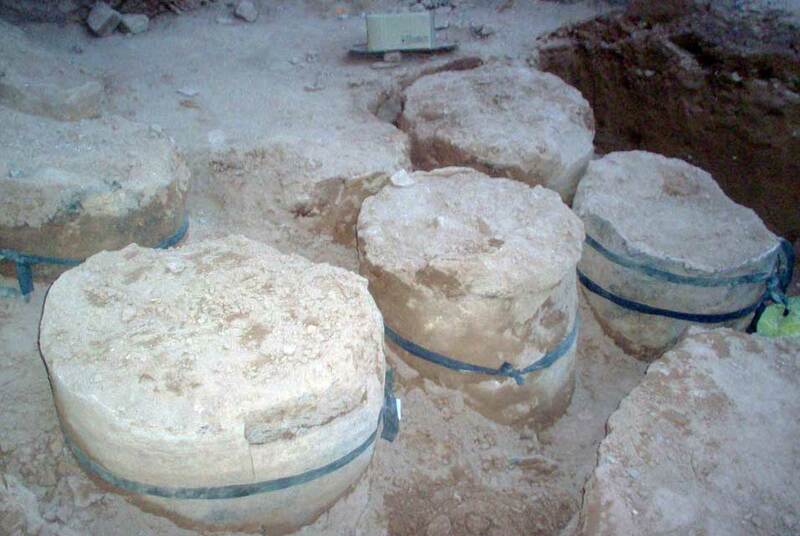 “When we started to dig up the whole space, the fourth pot appeared. And as we went ahead slowly we realized that more began to appear, unbroken. That’s when we got in touch with the archaeologists,” he said. The pots are 4 1/4 feet tall and were probably used to store food 1300 years ago. That dates makes them older than the Pucará de Tilcara, a pre-Columbian, pre-Incan fortress which is thought to have been built by the Omaguaca tribe in the 12th century. It’s a UNESCO World Heritage Site and the only publically accessible archaeological site on the Quebrada de Humahuaca, a 100-mile ravine in north Argentina that has been populated for 10,000 years. The ceramics are very brittle, so the fact that the posts are still so complete is remarkable. Archaeologists from the Tilcara Interdisciplinary Institute intend to excavate further on the Carrazana property and in the area to see if there are any other such hidden treasures. As of right now, we don’t know where the pots will end up. The Secretary of Tourism for the province is psyched, needless to say. He mused that some of the pots could remain in the ground where they are to mark the great find, which would give the Carrazanas an open-air museum in their backyard. They’d probably have to forgo building the addition in that case, though. I’d do it in a heartbeat.